Fun fact: I was a vegetarian for almost ten years. Ten! I'm still a bit picky about meat, so we do mostly organic/free range picks around here, and I'm super selective about trimming the meat. Anyway, despite that, I still find myself from time to time (especially if I'm dining out) choosing the meatless option. 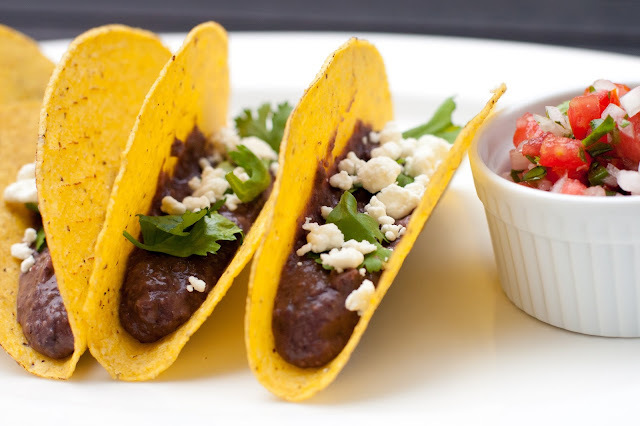 Enter black bean tacos. My former vegetarian self was so proud. I started with two cups of homemade black beans (but you can also sub a can), and pureed them up with the juice of half a lime and a bit of fresh oregano from the garden. The lime and oregano brightened them up, and pureeing them made them perfect for taco filling. You could also use them as a dip or nacho topping! I topped the black bean mixture with creamy crumbled goat cheese and chopped cilantro. I also had homemade pico de gallo for the tacos - it's been super easy for me to whip up since we get all the ingredients in our weekly CSA box, but if you are short on time, sub in grocery store pico de gallo. I roasted up a pan of CSA squash to round out the meal. Have I mentioned I'm going to be twelve kinds of sad when our CSA ends and we have no fresh local produce around?? Place first three ingredients in a food processor and pulse until smooth. 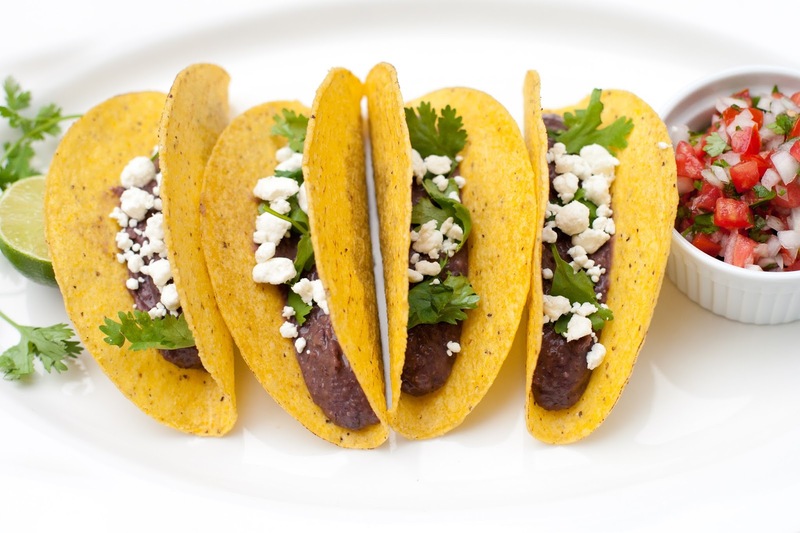 Assemble tacos and enjoy on Taco Tuesday... or, Meatless Monday! I'm still a carnivore, but I'm always trying to incorporate more meatless options into my diet...these look so fresh and tasty!